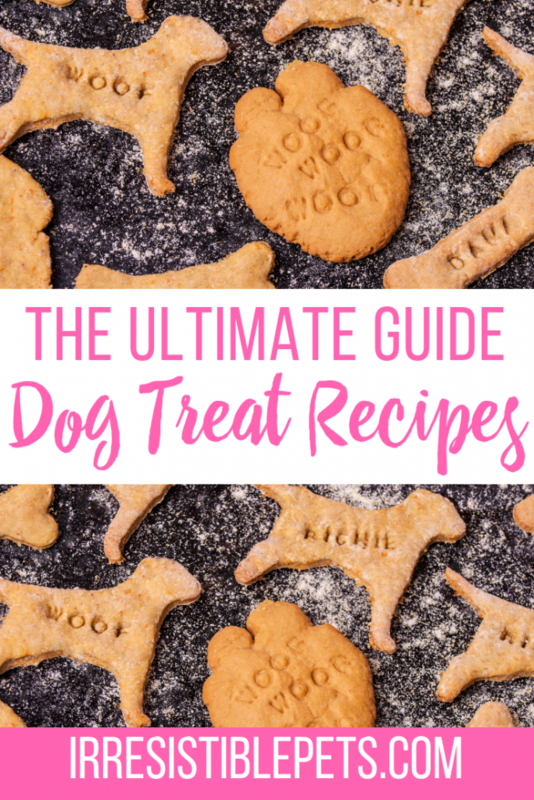 This post is sponsored by True Chews® Dog Treats and the BlogPaws® Pet Influencer Network. 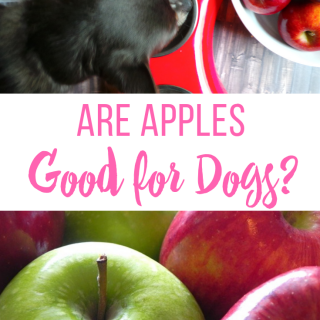 I am being compensated to help share information about the True Chews line of all-natural dog treats , but Irresistible Pets only shares information we feel is relevant to our readers. All statements made reflect my true opinion of the product. 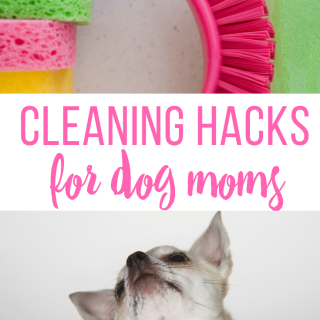 True Chews is not responsible for the content of this article. 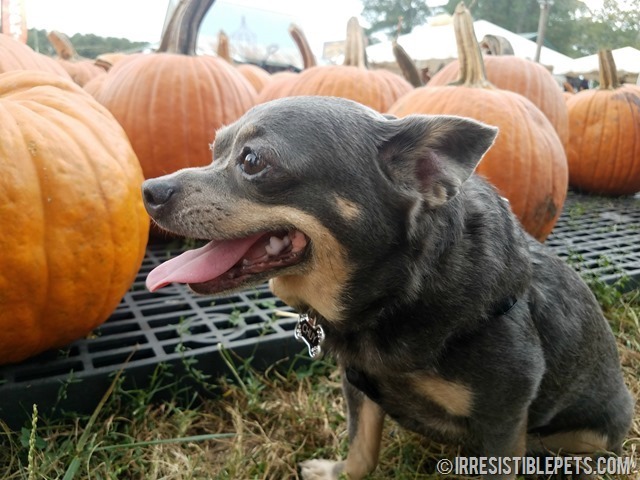 Chuy is eight years old and weve been going to the pumpkin patch since he was a puppy. It has become one of our annual Fall/Halloween traditions. Weve enjoyed sharing our lifes journey with you over the years here on our blog. Creating an irresistible life is not only the tagline of my blog, its the philosophy that I live my life by. Dogs are one of the only creatures on the planet that truly know how to live life in the moment. An irresistible life is all about living in the moment and getting out and enjoying all that life has to offer. Chuy and I took our annual adventure to the pumpkin patch last weekend. We are sharing that here today with you along with some of our tips for visiting a pumpkin patch with your dog! 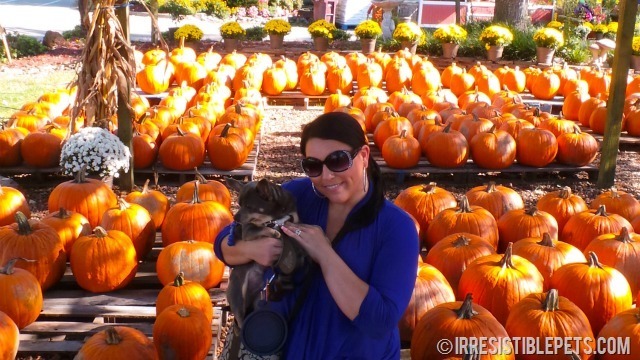 We go to the pumpkin patch for well  pumpkins – but lets be real. We also go for all the awesome photo ops! Turn your adventure into a mini photo shoot. I love taking pics of Chuy so that I have those memories forever. Make sure to jump into some of the pics too. Youll be happy you did! We get pumpkins each year to represent each person in our family. Chuy is part of our family so we always get a Chuy sized pumpkin for our front porch display. 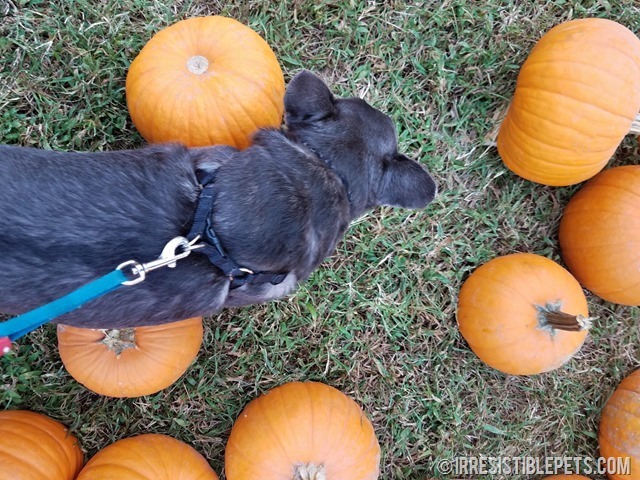 He will walk around and sniff out the pumpkins until he finds one that is just right! Our pumpkin patch is on a farm. 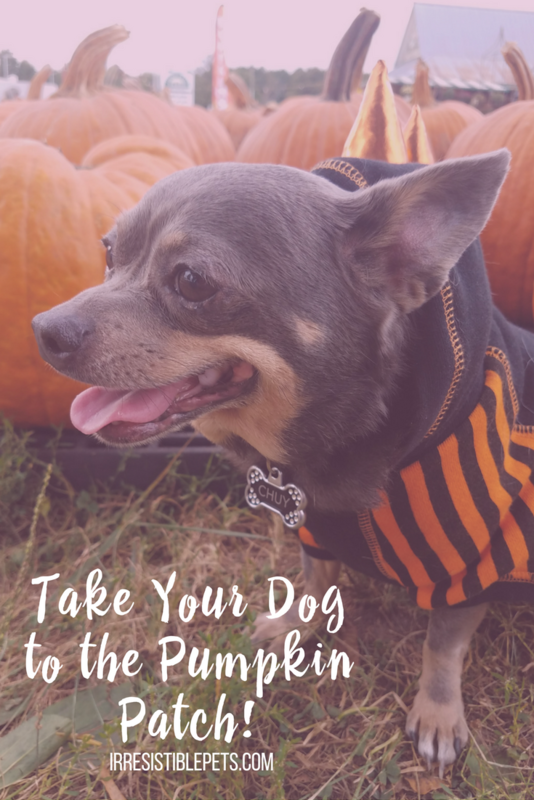 They have tons of other stuff to check out and do besides just the pumpkins. Make sure to explore more than just the pumpkins to make a full adventure out of your trip! The pumpkin patch was full of all kinds of yummy smells like kettle corn, fudge, donuts, and all kinds of sweet treats that Chuy can’t have. Part of the deal was that I would take him shopping afterwards so he could get something irresistible. Chuy is a real negotiator! 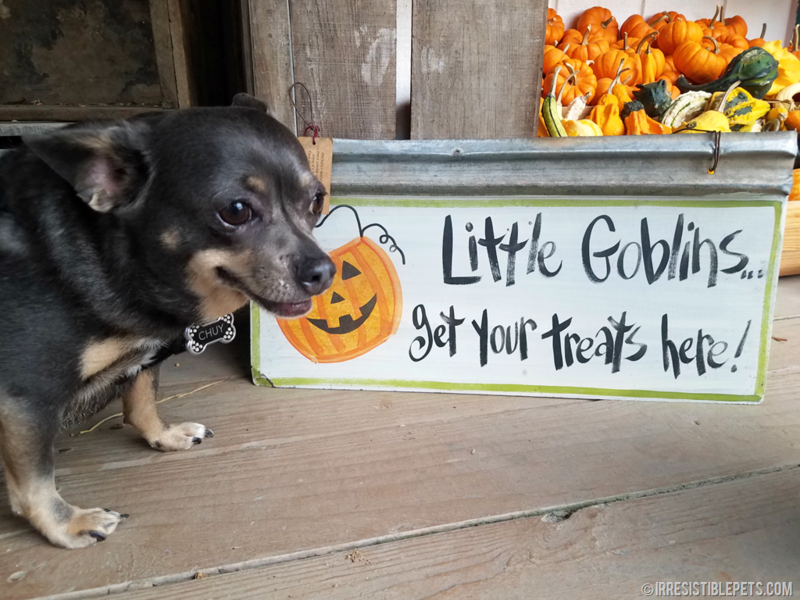 We headed to PetSmart on the way home to pick up some new True Chews® Dog Treats treats and a Halloween toy  or two! Im actually really picky about what types of treats Chuy can eat. 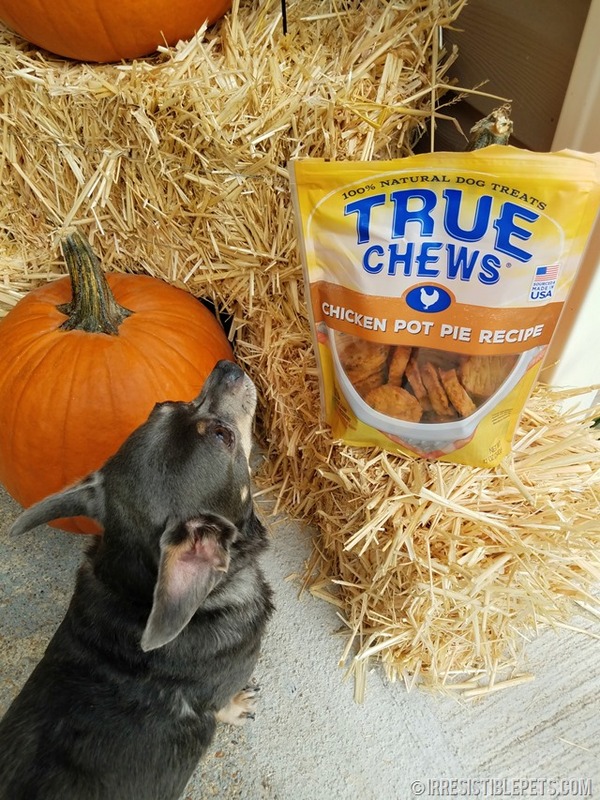 I feel confident giving Chuy True Chews® Dog Treats because they are made in the USA, all natural, and created by parents for pet parents. He is currently obsessing over the Chicken Pot Pie Recipe. 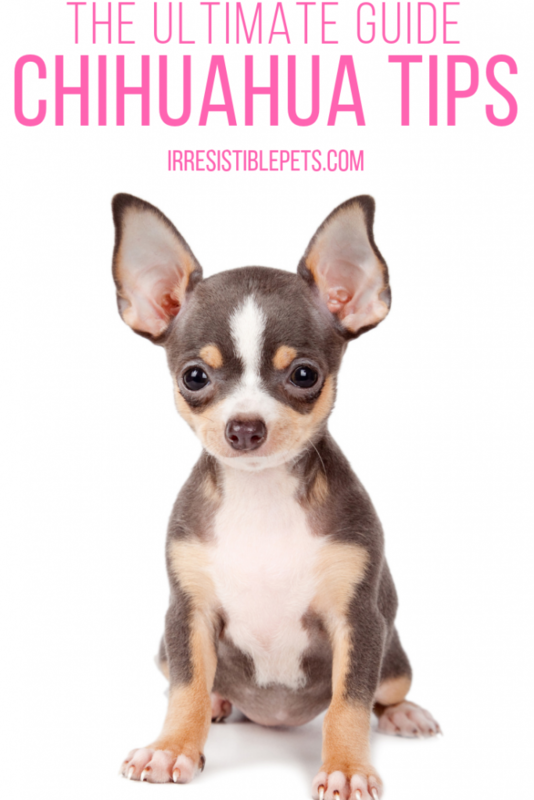 Check out the True Chews Store Locator to find where they are sold in your area. Life is a journey and we love sharing ours with you. Wed love to hear more about yours. 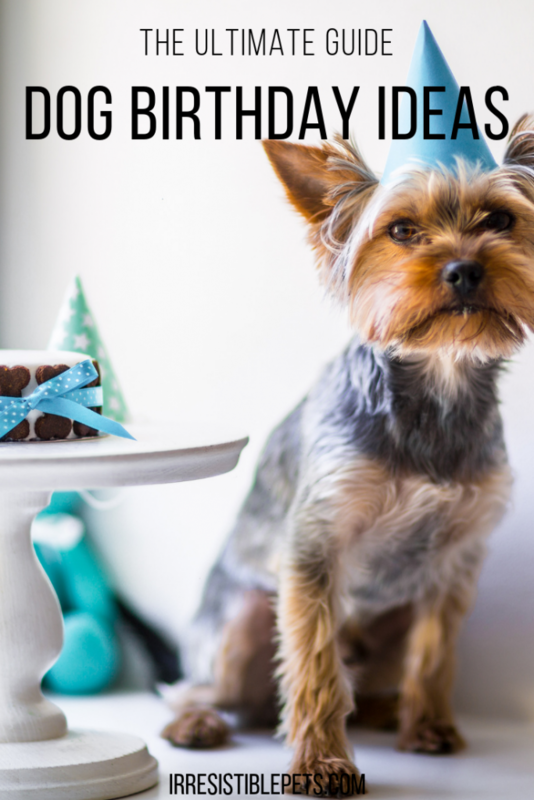 Do you have an annual tradition that you do with your dogs? Tell us all about it in the comments! PS – These are great pics but have you ever wondered what its like from your dogs point of view? 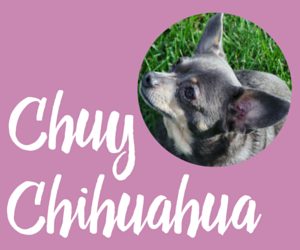 Stay tuned to our Facebook page tomorrow, 10/13 for a really fun video from Chuy! Thank you! It’s a great tradition to have! How fun! Sadly, we no longer have any pumpkin picking farms near us. The one I visited in my childhood years has become more commercialized and they do not allow you to “pick” your own anymore. I wish we had a place like that. Also, that exact place has decided it will not allow dogs. 🙁 Love Chuy’s photos. Awww man!!! Boo to no dogs allowed!!! Squee we love the pumpkin patch. Chuy looks like he is having a fun adventure. Also, I love that he is having a True Chews treat because we are fans of the line, too. Happy Autumn! Thanks! 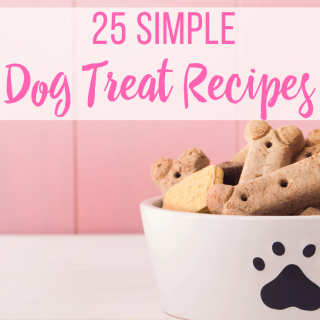 It was tons of fun and yummy treats always help! Love the pics in the pumpkin patch. Henrietta is not so amenable to having her photo taken. I swear she thinks she is in Witness Protection and avoids looking at the camera! This is such a great story of how you’re creating this irresistible life with your Chuy and your family. Thanks! That is too funny about Henrietta!!! Looks like Chuy had a great time. For some reason, my little Tiny doesn’t like pumpkins. She knocks them off the steps and sniffs at them strangely. Definitely not a fan. 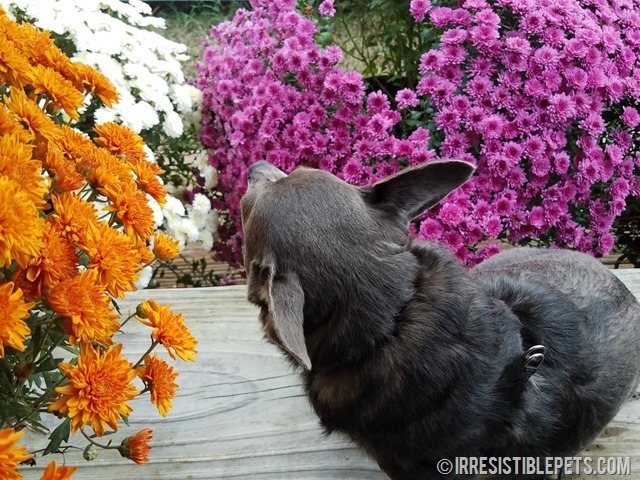 Love the pics of Chuy exploring the season! 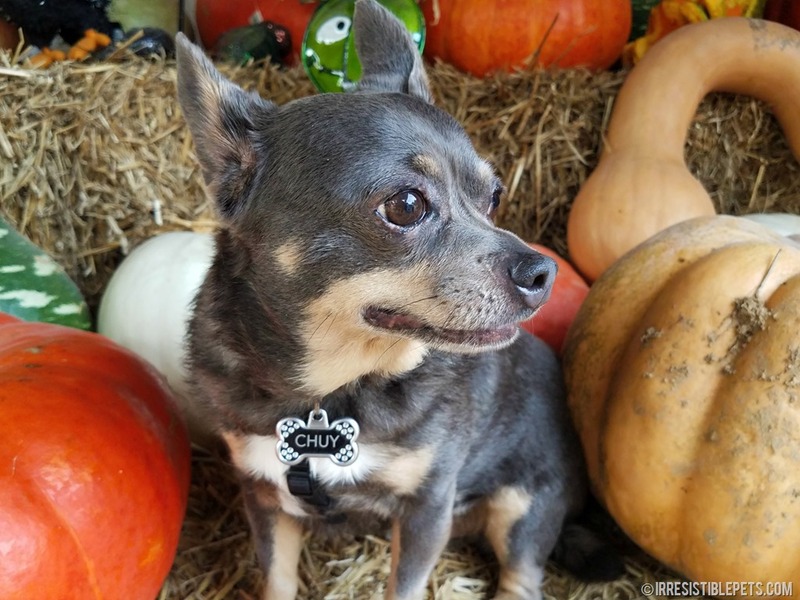 Can’t wait to see what’s in store for Chuy for Thanksgiving and the Holidays!